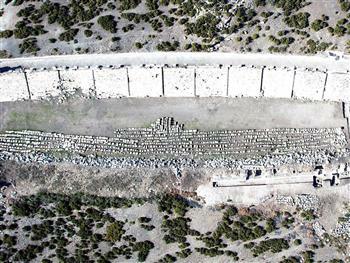 During excavation in the ancient city of Magnesia, located in the Ortaklar district of Germencik in the Aegean province of Aydın, the best preserved stadium in Anatolia has been unearthed. Excavations and restoration works have continued for 28 years under the leadership of the head of the Ankara University Archaeology Department Professor Orhan Bingöl. “It took 35 days to clean the semicircular ‘Sphendona’ part [of the stadium], which was 70-meters underground the stadium,” Bingöl said. 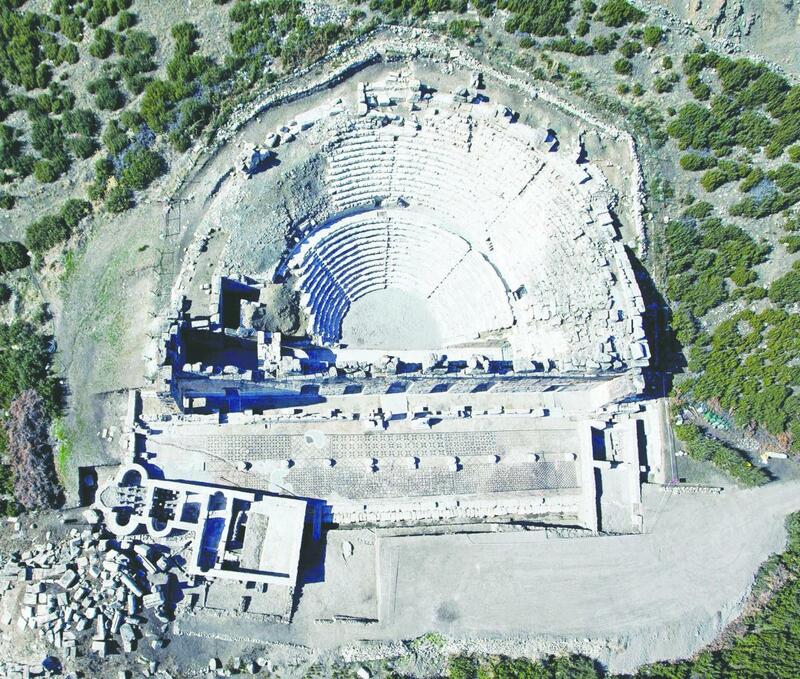 He said that the ancient city of Magnesia, which lies within the borders of the village Tekinköy continued for an additional three months this season thanks to the increase in financial support provided by the Culture and Tourism Ministry. “During the excavation and restoration works, the best preserved stadium of Anatolia has been unearthed. It is completely made of marble and the capacity of the stadium is 40,000 people. The works have been carried out with a 20-person scientific team from Turkish universities as well as a seven-person team from Germany’s Nurnberg-Erlangen University,” Bingöl said. Bingöl said the find showed that sports had been given importance throughout history. “We have so far focused on five important structural complexes. These structures have been cleared and made visible. Two of them are gymnasiums, where physical activities along with cultural educations like philosophy and literature were given. These places are equal to today’s physical education schools. The other is the sacred space of Artemis, which includes the fourth biggest temple of Anatolia. Excavations still continue in this area. Another structure is the Theatron. It was planned as a theater but its construction was left half finished maybe because of bad natural conditions or the earth sliding. Excavations in this area have been finished. And the last structure [unearthed] is the city’s stadium,” Bingöl said. He said that this season’s works had been finished in Magnesia’s stadium, which was completely underground and some part of which was unearthed during excavations between 2008 and 2011. “Diggings will continue in this structure in the next years if we can find allocation. When all these works are done, the whole stadium will be unearthed after nearly 700 years. It will return to its magnificent days during which Olympics-like plays were organized and 40,000 people attended as viewers,” Bingöl said.